A study by researchers at the University of Toronto Scarborough has found that larger hummingbirds are more fuel efficient than smaller species, which may have to do with why smaller hummingbirds need to beat their wings more rapidly than larger species. 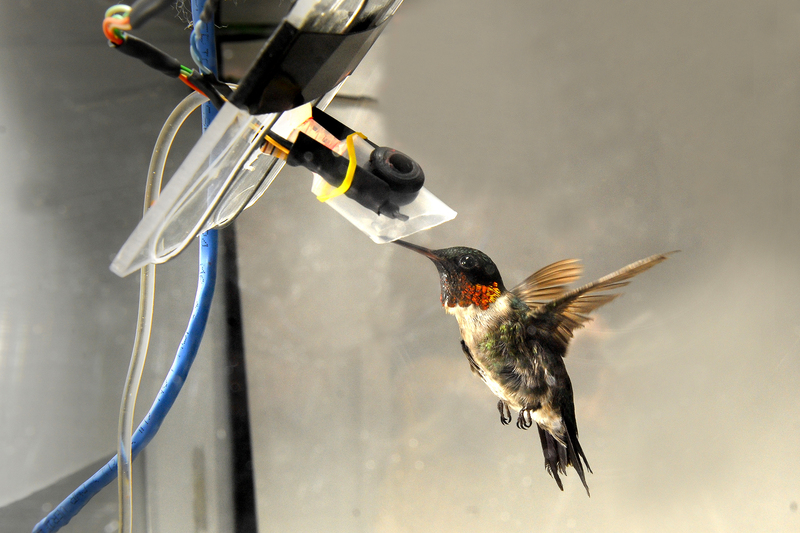 The study, which was funded in part by the National Science Foundation, sought to explore the link between morphological traits, like body mass and wingspan, and metabolic rates -- the rate at which the birds consume energy, as well as explore how well hummingbirds turned food energy into motion, also called mechanochemical efficiency. Research entailed gathering data from 25 species of hummingbirds ranging in size from 3 to 10 grams for comparison. "In animals, body size plays an important role in figuring out the amount of energy needed for movement," says Derrick Groom, lead author of the published study and a former Ph.D. student in the lab of Professor Ken Welch. "We found that larger hummingbirds are more fuel efficient than smaller species, and this may have to do with how smaller hummingbirds need to beat their wings more rapidly than larger species." It's known that larger animals need more energy than smaller animals to move, but it�s not a 1-to-1 ratio, meaning an animal that is 100 times larger doesn�t require 100 times more energy to move. "This is something called increasing mechanochemical efficiency," says Welch, an expert on hummingbirds and co-author on the study. 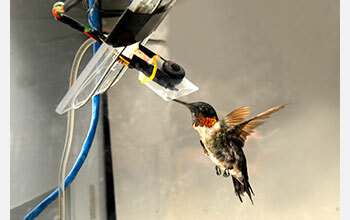 The research could help explain why certain species of hummingbirds are found in certain locations. The scaling of efficiency may explain why larger hummingbirds are found at higher elevations because they require less food to hovering in the less dense, oxygen poor air, notes Welch. It may also help explain why the largest hummingbirds are only so big, which could come down to understanding the efficiency at which hummingbirds can produce mechanical power and how much is needed.